You might assume that any Bluetooth speaker can be used as a wireless speakerphone. After all, the primary purpose of a phone is to make phonecalls, and the primary purpose of a Bluetooth speaker is to amplify the sound from your phone. But for some reason, the overwhelming majority of Bluetooth speakers don’t have built-in microphones. And without microphones, they can’t be used as wireless speakerphones. The overwhelming omission of microphones in Bluetooth speakers is an upsetting fact of life that we all have to come to terms with. 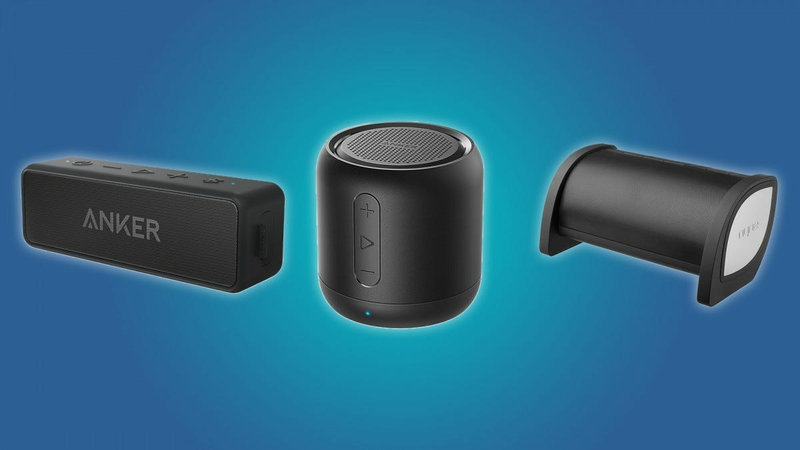 Thankfully, we can divert our attention away from that existential pitfall, because there are a handful of high-quality Bluetooth speakers that can actually be used as speakerphones. Of course, all of these Bluetooth speakers have their own features and quirks. Some are good for days at the beach, while others are best left in the living room. That’s why we’ve taken the time to find a variety of the best Bluetooth speakers with speakerphone functionality, for everyone’s needs. 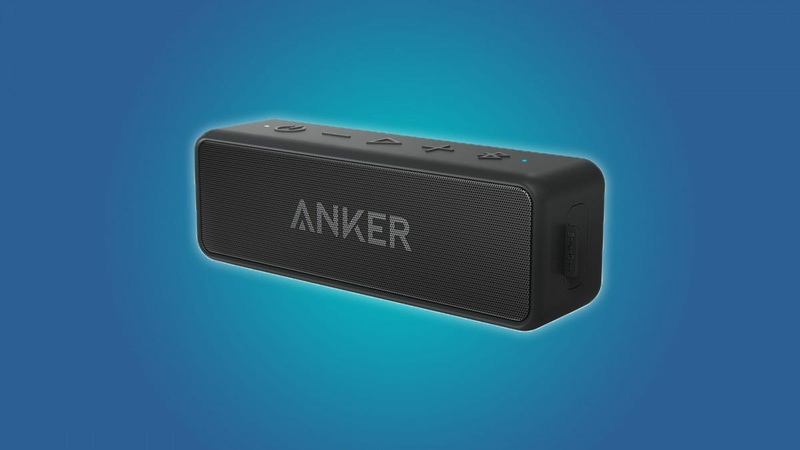 If you’re looking for an affordable, loud, tried-and-true Bluetooth speaker with speakerphone capabilities, then you should check out the Anker SoundCore 2. It has a high-quality built-in microphone, a loud speaker, and a connectivity range of up to 66 feet. Anker’s SoundCore 2 is among our favorite Bluetooth speakers, and for good reason. It’s a small, loud, high-quality device at an affordable price. It also has a 24-hour battery life, an AUX port, and an IPX5 water resistance rating (it can handle splashes, rain, and maybe a quick submersion). 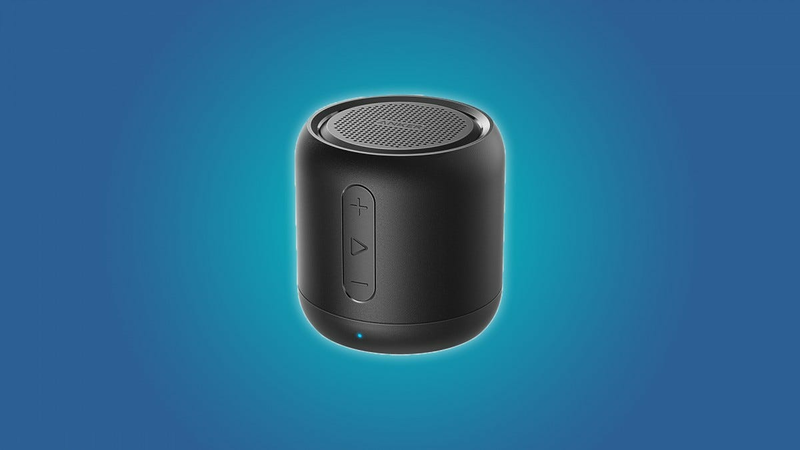 If you want an ultra-portable Bluetooth speaker with speakerphone functionality, then you should consider the Anker SoundCore Mini. It’s a tiny, inexpensive Bluetooth speaker, but it can get pretty loud. Plus, it has a built-in microphone and a connectivity range of up to 66 feet. The SoundCore Mini is a neat little device with a bunch of extra features. It has a micro SD port (for music files), a built-in FM radio, and an AUX port. It boasts a 15-hour battery life, and it has an IPX5 water resistance rating, so it can handle a bit of rain or a quick dunk in the pool. The DOSS Touch is an elegant Bluetooth speaker. It has a touchscreen, two speakers for high-quality stereo sound, and a built-in microphone for speakerphone functionality. It also has a decent 12-hour battery life, a micro SD card slot (for music files), and a 66-foot wireless connectivity range. While the idea a Bluetooth speaker with a touchscreen seems a little weird, the DOSS’ touchscreen feels pretty natural and intuitive after a few minutes of use. If anything, the touchscreen adds a “premium” element to the DOSS Touch. Looking at it, you wouldn’t guess that it’s a $28 speaker. That being said, this isn’t the kind of speaker that you’d want to take to a pool party. Even though the DOSS Touch has an IPX4 water resistance rating (it can handle a little rain), its “premium” touchscreen comes at the cost of durability. 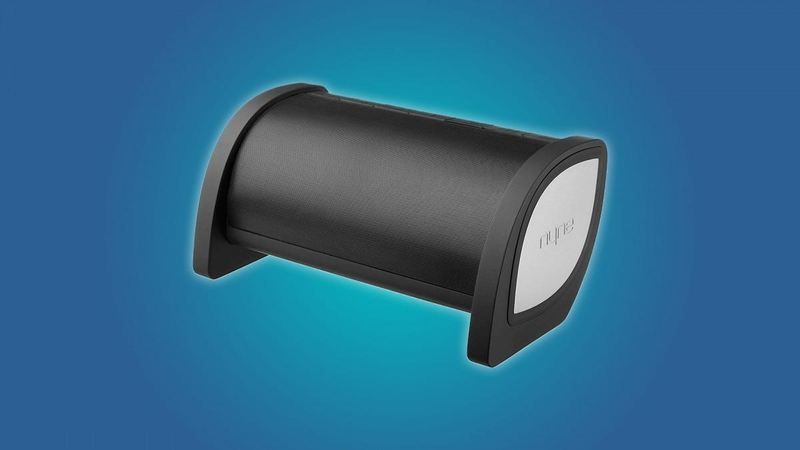 If you’re in the market for a larger speakerphone-ready Bluetooth speaker, then you should check out the NYNE Bass. 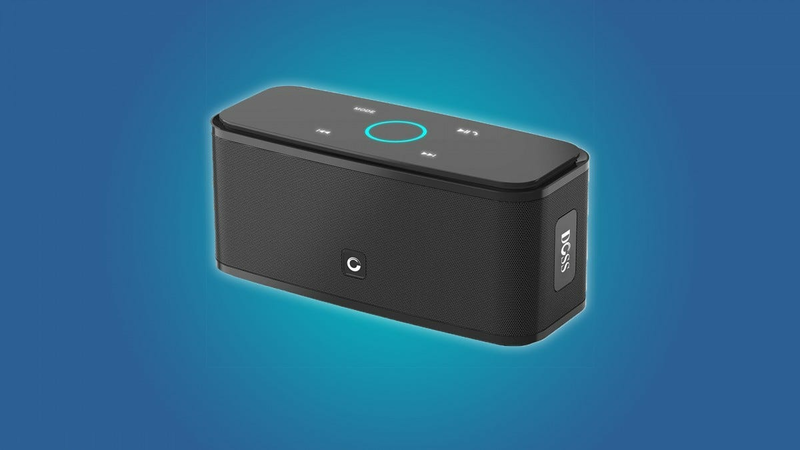 This high-quality Bluetooth speaker has a built-in active subwoofer, so it’s great for wirelessly listening to music or watching movies without sacrificing any quality. Plus, it has a 10-hour battery life, an AUX port, and a concealed handle for on-the-go listening. The NYNE Bass is a premium speaker with a durable design. It makes a great speaker (or speakerphone) at home, in the car, or at a party. That being said, it isn’t water resistant, so you should keep it away from the beach. 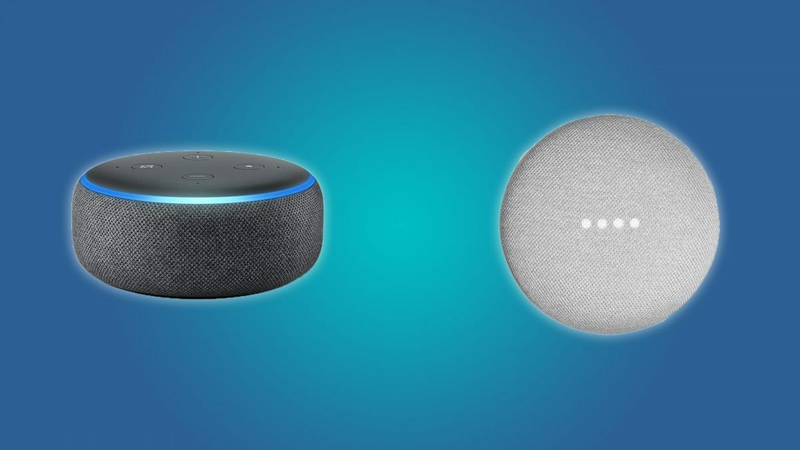 The Echo Dot and the Google Home Mini are smart devices, not Bluetooth speakers. But they can be used like Bluetooth speakers, and they make hands-free calling a breeze. Additionally, you can use the Echo Dot or the Home Mini to add speakerphone functionality to a microphone-less Bluetooth speaker. Smart assistants can make a great alternative to Bluetooth speakers. They’re small, affordable, they can be used for whole home audio (for music or phone calls), and they can be controlled through the use of voice commands. You can even use voice commands to make speakerphone calls through your smart assistant. Of course, there are a few downsides to the Echo Dot and the Google Home Mini. For one, they aren’t portable. They have to be plugged in all the time, and they require a Wi-Fi signal to perform basic tasks. Plus, if you just want to listen to music and make hands-free calls, the extra features that are packed in a smart assistant can be an annoyance.